Grace Park is a dynamic violinist, dedicated chamber musician, and passionate pedagogue. Her diverse career has carried her from the world’s foremost concert halls to inner-city schools as a soloist, collaborator, coach, and multi-disciplinary educator. Currently in residence at Carnegie Hall as part of The Academy–Carnegie Juilliard Weill program, Grace pairs her elite musicianship with a fervent commitment to community engagement. The Academy — a program of Carnegie Hall, The Juilliard School, and the Weill Music Institute. As a soloist, Grace has been the featured artist at the Kennedy Center in Washington, DC; Walt Disney Hall in Los Angeles; Jordan Hall in Boston; Carnegie Hall in New York; the Grace Rainey Rogers Auditorium in the Metropolitan Museum of Art in New York; the Rudolfinum in Prague; and Glinka Hall in St. Petersburg. 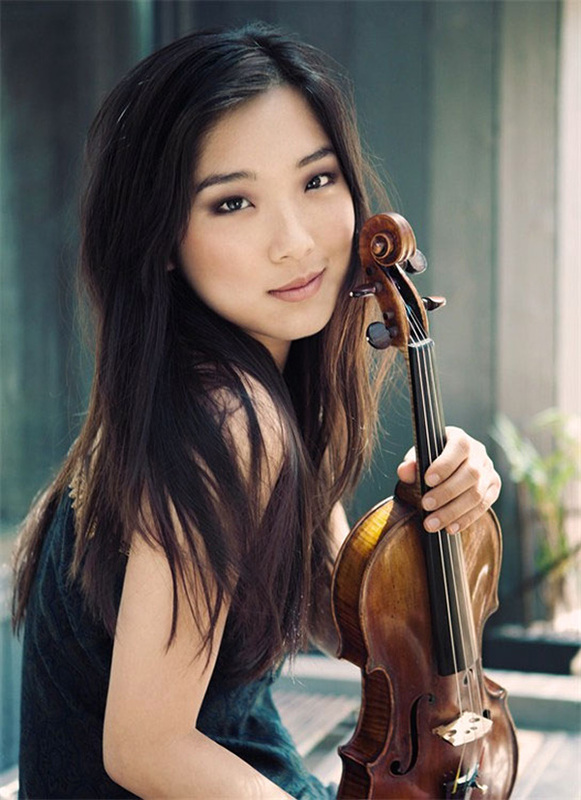 She is a laureate of the National Symphony Orchestra’s Young Soloist Competition. Grace has performed with chamber ensembles around the world. She performed the world premiere of Samuel Carl Adams’ String Sextet and a Carnegie Hall–commissioned work by Andy Akiho. Grace has been recognized for her work in the Vitas Quartet, her chamber collaborations at Trinity Wall Street’s “Concerts at One,” and for performances at the Yellow Barn Music Festival, Music@Menlo, IMS Prussia Cove, and the Perlman Music Program’s Chamber Music Workshop. While pursuing her Bachelor’s and Master’s degrees at the New England Conservatory under the tutelage of Donald Weilerstein and Miriam Fried, Grace achieved the unprecedented honor of sweeping both of the school’s concerto competitions in the same year. She represented the conservatory in an inaugural series of house concerts and a live performance on WGBH television.